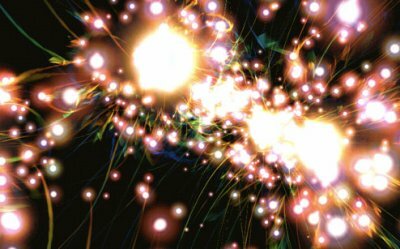 Robert Hodgin has released a fantastic iTunes visualizer, based on his mind-blowing processing experiments. I’ve never been a fan of visualizers in the past, probably because they typically look like something from an early 70’s sci-fi TV show (and not in a good way). In contrast this thing is all smooth organic 3-d motion and lovely glowing orbs. WOW! Watch that thing while listening to Wavy Gravy by Sasha. Amazing!! Jiv3D (http://jiv3d.com) is also another cool iTunes Visualizer.